Following a wildly successful summer in Ibiza, which saw the record smashing 9-week residency pick up ‘Best Ibiza Night’ at the 2018 DJ Awards, RESISTANCE has revealed it will be heading back to Europe to host a stage during the 6TH edition of the leading UK electronic music festival, We Are FSTVL. The esteemed underground institution has recruited performances from likes of Adana Twins, Ben Klock, Dixon, Green Velvet, Maceo Plex, Nina Kraviz, and Solomun, with more acts set to be announced. On May 24th, 25th, and 26th, We Are FSTVL will take place in the Airfield of Dreams at Damyn’s Hall, Upminster, United Kingdom. Boasting over 300 artists across 20 bespoke stages, the organizers have revealed a lineup that features talents from all varieties of electronic music. 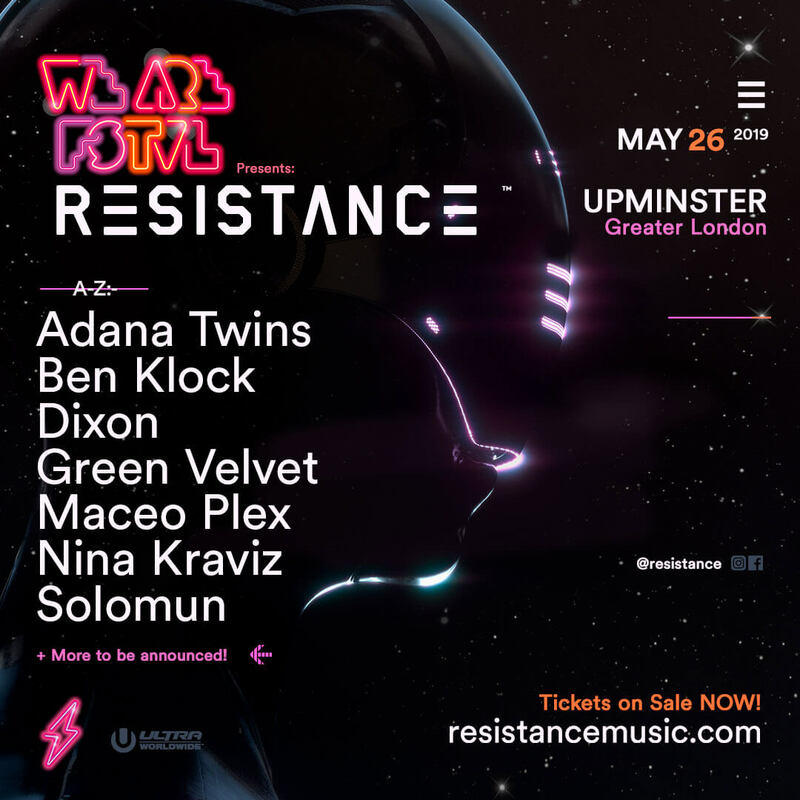 RESISTANCE will play a major part in taking this year’s edition to the next level, bringing the brand’s revered production, vibe and artists to London for the first time. The inaugural partnership with RESISTANCE will showcase sets from the most in-demand names in house and techno, driven by the underground’s most respected labels: Klockworks, Innervisions, Ellum, and Diynamic and is set to take the festival to new heights in 2019.